Bed Head . Imagine waking up to that...... HD Wallpaper and background images in the Shingeki no Kyojin (Attack on titan) club tagged: erwin smith attack on titan alternate universe shingeki no kyojin danchou smith commander smith fanart. 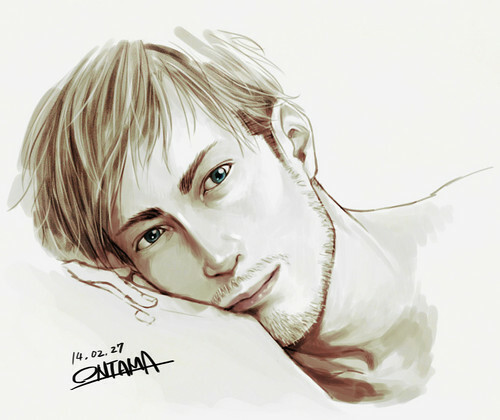 This Shingeki no Kyojin (Attack on titan) fan art might contain portrait, headshot, and closeup.